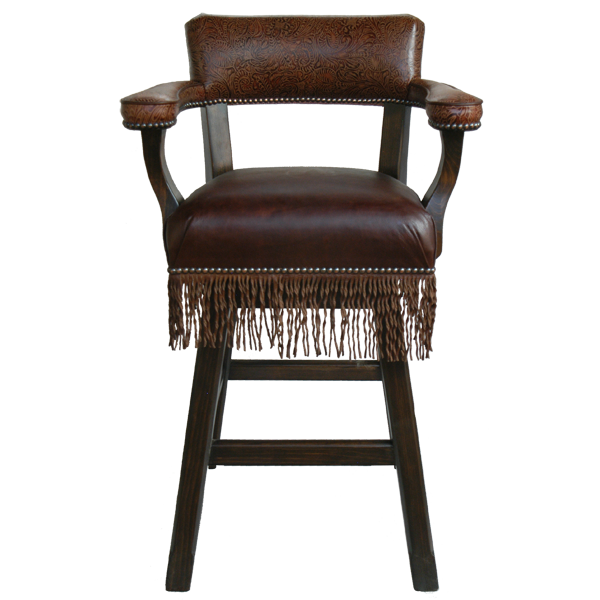 The dark chocolate brown full grain leather and the beautiful brown finish of this handcrafted bar stool will add warmth and comfort to your living room or game room. 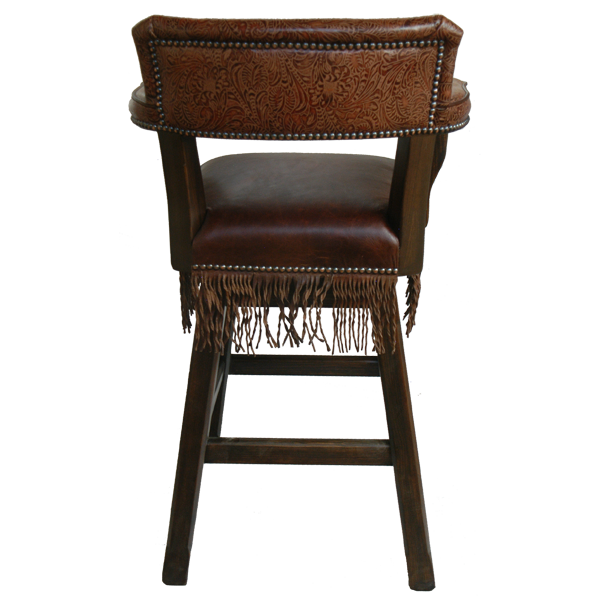 This Western style bar stool makes a big impact and will look great in any space. The seat is upholstered in dark chocolate brown full grain leather and the armrest and seat back are upholstered in dark embossed full grain leather. 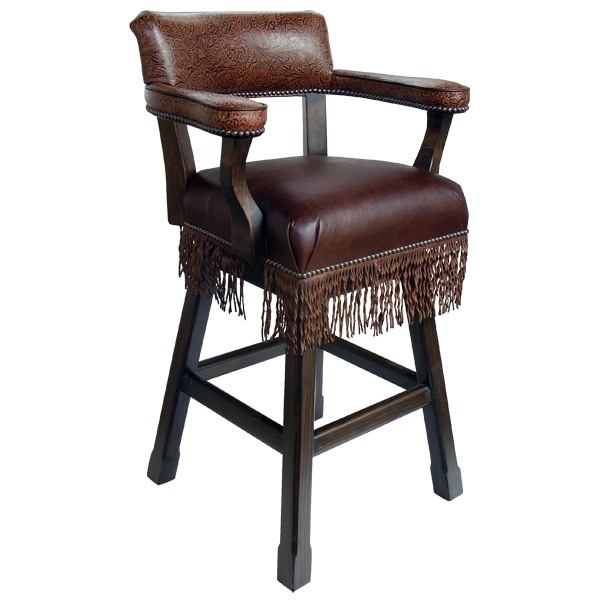 The entire base of the bar stool is decorated with full grain leather fringe. All of the upholstery and fringe are hand tacked with precision to the entire wood frame by our skilled craftsmen. Durable as well as beautiful, the bar stool is made with the best wood available. The entire bar stool rest on splayed solid wood legs joined by a midway box stretcher. It swivels 180° and is 100% customizable.